Its philosophy was that you shouldn’t not do anything because you’re a woman, and so it provided courses for us like physics honours and chemistry honours, which were unusual then. As a young girl I was always keen on chemistry. Reading stories of Madame Curie, I decided I wanted to be like her. I think she was the only heroic figure I had in my early childhood. Then at MLC we had a very good chemistry teacher – she had a PhD in chemistry, and was outstanding in those days – who gave us a real interest in chemistry. Intellectually, in general no. There were huge numbers of people at Sydney University then: we’d have a lecture of 1 000 people and virtually no stimulation by the staff or contact with them, in the first couple of years. I’d say the undergraduate teaching was very poor, except for the ‘odd’ courses. In first year we had Hans Freeman, a very exciting lecturer, for a special chemistry course. And then Harry Messel and Stuart Butler – both exciting – who ran a special physics course. In second year, hearing Gerry Wake talking about nucleic acids made me decide that was what I really wanted to do, and later one of the best things that happened to me was having Gerry as an honours supervisor. He taught me a lot about science, about being rigorous, about being focused and methodical. She obtained her PhD from Sydney University in 1968, for her thesis entitled: ‘Studies on the Bacillus subtilis genome’ under the supervision of Dr RG Wake followed by a Post Doctoral Fellowship in the laboratory of Dr Julius Marmur at the Albert Einstein College of Medicine, New York, USA from 1968 to 1970 where she was supported by the Anna Fuller Fund. This may be a paternalistic view, but I thought it was good to do something to use your knowledge for the less developed countries. That was quite a mind expanding experience. I think normally we are comfortable in our own little niches, but Papua New Guinea didn’t have all the molecular biology, high-tech instrumentation and big infrastructure, or an environment where you can feed ideas off lots of colleagues. I was doing chromosome and DNA studies on the native rodents, and together with a classical zoologist, Jim Menzies, I would go out trapping rodents and taking pictures of them and determining the chromosome complement. We even wrote a book on the rodents of Papua New Guinea. There is a big radiation of species. Some of them are cute little tree mice but one rat is called Hyomys goliath because it’s so big (about 400 mm head and body and tail the same, weighing 1 kg). And they’re quite unrelated to Rattus. That project was fun and I saw a lot of the PNG countryside. Doing this work taught me that there are a lot of scientific problems and it’s interesting when you get involved in any of them. 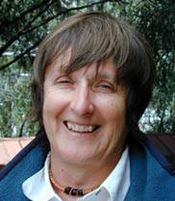 In 1972, she joined the CSIRO Division of Plant Industry, Canberra as a Research Scientist rising to the position of Chief Research Scientist in 1991 and CSIRO Fellow in 2001. In 1982-83, she was a Visiting Fellow, Biochemistry Department, Stanford University, in the laboratory of Nobel laureate Dr Paul Berg on a Fulbright Fellowship as a Senior Scholar. She also held the position of Visiting Fellow (1991) and Adjunct Professor (1992-98) of the Australian National University. Liz Dennis has been one of the pioneers in plant molecular biology with interests in gene expression, the molecular bases of plant development, plant gene regulation and the mapping plant genomes. characterised the Ds element and its movement. the molecular basis of heterosis (hybrid vigour) and epigenetics (changes in the appearance or gene function of an organism not due to actual changes in its DNA sequence). developed plant promoters which respond to anaerobic conditions and give high-level expression. This work was funded by Agrigenetics Corporation and resulted in patents which have been granted in the USA. developed a monocot promoter with high-levels of expression for use in cereal transformation. This was supported by Wheat Industry Research Council Funding and has also been patented. developed genetically engineered eucalypts for plantations which was supported by a GIRD grant in collaboration with APM, ANM, North Eucalypt Technologies, Kimberly Clarke and CSIRO Forestry. investigated the use of ribozymes to develop a system for male sterility in research funded by Gene Shears Pty Ltd.
She was President-Elect 1991, President 1992-93 and Past President 1994 of the Australian Society for Biochemistry and Molecular Biology; was a member of the Board of Directors of the International Society of Plant Molecular Biology from 1990 to 1993, a Committee Member of the Genetics Society of Australia, in 1978-79 and a member of the American Society of Plant Physiologists. She has published approximately 300 papers in international journals and one book and been editor of two further books. Dennis ES, 2009, Personal communication.